Is there a goth on the planet who doesn't adore bats? Not that I know of? 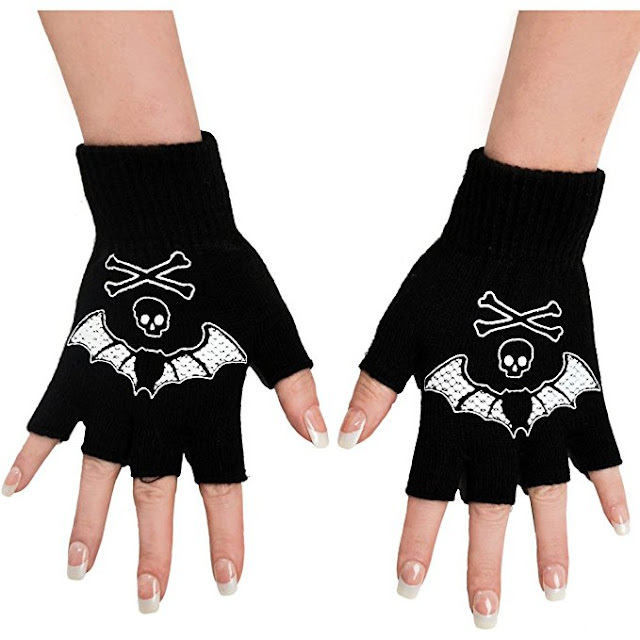 So I am expecting many people to freak out with joy over these new fingerless bat gloves from Too Fast. They're probably not warm enough for snowy, bitterly cold places like Boston and New York, but for cities with slightly warmer winters, fingerless gloves make it easier to text while still keeping the rest of your hands warm. 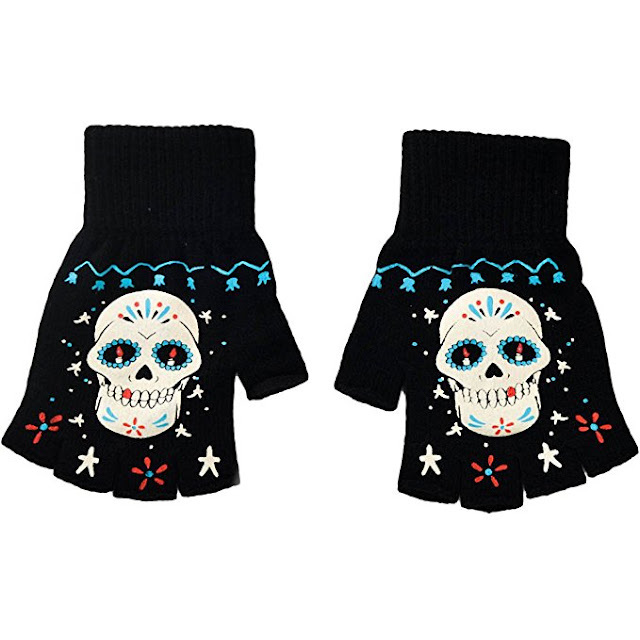 Also new from Too Fast for Winter 2017: Sugar Skull fingerless gloves. They're a bit too cutesey for my taste but I thought I'd show you just in case they appealed to someone.